AMCAT Data Structure Questions (AMCAT Questions on Computer Programming) 2019: Though Computer programming module is not mandatory in AMCAT exam, but it surely gives special weightage to the resume of a candidate. So, its recommended to take up the computer section also. 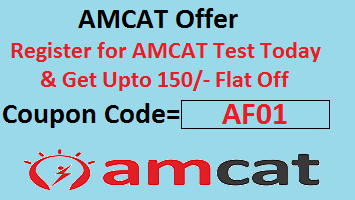 Spoiler Alert: AMCAT is playing vital role in offering thousands of IT jobs to freshers, hence our genuine advise would be that all job seekers must take the amcat test. Most of all, 3 to 4 questions come in AMCAT from arrays, linked lists, trees and graphs. The level of difficulty is usually easy to average. It can take probably 1-2 minutes to solve the questions. Furthermore, we will see in detail about array, linked list, trees and graphs. Arrays: Array is a collection of data of same data types. It can be possibly declared in multiple dimensions. Yet, the most commonly used is one dimensional also called as List and two dimensional array which is also referred as matrices. Linked Lists: A linked list is a data structure which contains a sequence of nodes. Each of the node has two fields. First is data field and second one is reference field which is also called as a pointer to point the next node in the sequence. Trees: Arrays and linked lists are linear data structures. Trees form hierarchical data structure. A Tree node basically contains following three parts. A limited set of vertices which are also called nodes. A finite set of ordered pair in the form of (u,v) is called edge. The pair of form (u, v) indicates that there is an edge from vertex u to vertex v.
Explanation:The statement ‘C’ is correct. When we pass an array as a funtion argument, the base address of the array will be passed. What is Dynamic Allocation in Array? Raman is 7 years old and he wants to color a book. The book happens to be about DSA and contains a Complete binary tree with 7 levels, he wants to use different color for every tree nodes. How many colors will he need? Which of the following operations is not O(1) for an array of sorted data. You may assume that array elements are distinct. For any queries on AMCAT Data Structure Questions (Arrays, Linked Lists, Trees, Graphs), please comment below.